When we decided to provide website design and development services, we wondered if we should create a unique platform from scratch or leverage an existing platform with the help of open source components and the ability to edit source code. WordPress has been floating around the digital space since the dawn of the millennium, attracting bloggers and businesses alike because of its unbeatable CMS and several other features we found quite alluring. The decision was made, and we stuck to working on WordPress platform. Here’s why you should consider switching to it if you haven’t already. WordPress has an intuitive user interface designed to make it easy for anyone to learn, use and update. Once we are done with the design and development, you don’t have to keep ringing us up to make changes like adding pages or editing content on the website. With a learning curve shorter than primary school, even a non-IT person can update your website in a matter of few minutes. One of the best features about WordPress is its browser-based technology. It’s is a full-suite CMS that does not need any external HTML or FTP software to manage or update the website. You can login to your website dashboard from any computer/smart phone and create pages, blog posts, add images, videos and make any changes necessary, all on your favorite browser. WordPress socializes well with search engines owing to its coding and mark-up structure, making it easy for your website content to be indexed and found. With in-built features and plugins, the platform allows you to define variables like keywords, meta-tags, titles, description, alt-tags and more for posts, pages and media, so all content on the website can be optimized perfectly with instant audits for search engines. We would like to think of WordPress like modelling clay when it comes to design. The themes are responsive, and therefore automatically device-friendly. It is completely flexible in allowing us to customize the look of your website without any limitation. So go ahead and ask W2S Solutions to create a masterpiece for your brand. WordPress will back us up in dazzling your users with a fabulous experience. Do you want to turn your website into an e-commerce bay, convert visitors into newsletter subscribers, create a page that can act as a community hangout, add an event calendar or portfolio, and anything that can add value to your site? 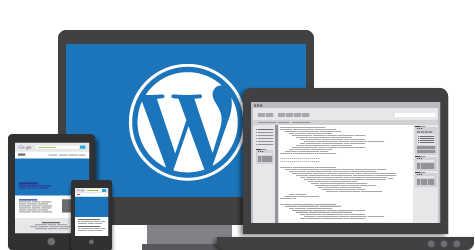 Everything is possible as WordPress offers plugins, open source and sponsored, for all needs to extend the functionalities of any website. It’s quite plausible that a popular platform like WordPress has a huge following, and with it comes a developer support community that offers resources required to manage your website even if you lack an IT-person. Needless to say, a system that is used on such a large scale comes top-notch security, regular updates, and plugins to add more veils of security so your website and its content is safe from hacks, spams, and more digital break-ins. Stop looking for reason #7 and contact us now for a chat on switching your business to a WordPress website.